Pentagon Will Train Recruits Holding Green Cards Following Court Order A federal judge ruled that the Pentagon provided no rationale for recruiting immigrants and then delaying their military service. Secretary of Defense Jim Mattis testifying in October 2017 on Capitol Hill about immigrant military recruits. The policy change, first reported by the Washington Post, follows a preliminary injunction issued by U.S. District Judge Jon S. Tigar in the Northern District of California in mid-November. He sided with two lawful permanent residents who argued that they were discriminated against by the Pentagon policy that delayed their service for more than a year and left them in limbo between a military and civilian career. The lawsuit was filed on behalf of Jiahao Kuang of San Leandro, Calif., who came to the U.S. from China in 2004 at the age of 8 and Deron Cooke of Trenton, N.J., who had emigrated from Jamaica in 2015. The two immigrant recruits were represented by the American Civil Liberties Union which had issued this statement in November. "Tigar's ruling finds that the Defense Department provided no rational justification for the policy change, stating that it provided no evidence indicating that lawful permanent resident enlistees posed more of a risk than U.S. citizens.
" 'The ruling serves yet another blow to the administration's anti-immigrant agenda,' said Sameer Ahmed, an attorney with the ACLU Foundation of Southern California. 'This decision affirms that there is no justification for discriminating against individuals who want to risk their lives for this country simply because of their immigration status.' "
A spokeswoman for the Pentagon, Air Force Lt. Col. Carla Gleason, said the Defense Department is complying with the Nov. 16 preliminary injunction. "[Lawful permanent residents] will be assigned to initial entry training in the same manner as any other recruits, based on the availability of training slots, open class dates, career field quotas and recruit preferences, all of which may affect a particular individual's ship date," she said in an e-mail to NPR. Gleason added that there are currently 20,000 non-U.S. citizens serving on active duty. In his ruling, Judge Tigar wrote that the Defense Department had not substantiated its national security concerns. 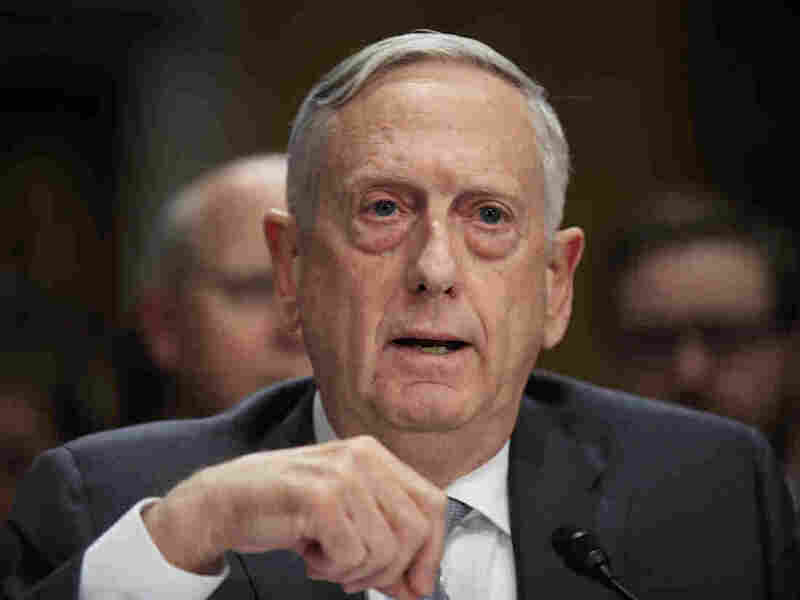 Rather, he noted that even high-ranking Pentagon officials had acknowledged that the policy of restricting green card holders would "impair military recruiting goals and impair military readiness." The Washington Post reports that the policy change, although prompted by the court ruling, comes as the Army is having recruitment problems. "The Army sent 4,600 green-card holders to recruit training in 2016, and 3,600 in 2017, according to data provided by the Pentagon. That number plummeted to 513 in 2018, as the Army also missed its recruiting goal in 2018 for the first time since 2005 by about 6,500 soldiers, despite spending more than $200 million on bonuses. The service declined to say how many green-card holders are in its system waiting to ship to training, citing the open litigation."